Any company that wants to succeed can benefit from an actionable business plan. Even when you start your business without one, it’s never too late to implement logical strategies into a failing company. Whatever tactics you plan on using can always be refined, so start by putting them on paper. Getting past that first hurdle will help you to achieve solid progression. Everyone uses different software to store their data, and with that data comes different ways of backing it up. Any mainstream document program will have cloud syncing or backup support enabled. This is of course assuming you’re using digital media to make your actionable business plan. For all of the paper users still out there, this is where a little bit of foresight can be helpful. Nothing is wrong with having a paper version of your plan, but it shouldn’t be the only version available. In a perfect world it wouldn’t even be the main version- but everyone is different. Paper users should scan or snapshot their plans after each major change to ensure it doesn’t get lost or fall into the wrong hands. A company’s vision defines everything the owner and employees stand for, and should never be about money. The vision is also the foundation to fall back on during the hard times when the company isn’t doing so well. It’s a great way to remember why you started and what the priority is to keep you heading towards that goal. Finding the vision for your company is easy once you start asking personal questions about yourself and the company. But don’t stop there- once you finish the vision, look it over multiple times to make sure that everything sticks. There are more failed businesses than successful ones. Trying to find out why a business fails is an entirely different article, and even then nothing would be conclusive. Some businesses have even failed from being too successful! The amount of energy that goes into trying to find out ‘how not to fail’ should instead go into finding out what makes your company different than the others-whether successful or not. Set yourself apart from other companies without altering the message that matters the most to the business. At this point you should have a budget in mind, or at least a couple. The reason you want to go with the latter has a lot to do with being flexible on changing qualities of your business. Since this is the beginning stages, flexibility is more tolerable. For companies that already exist, the budget is tighter and lacks the startup flexibility. The budget needs to be set up by projects, resources and should even have a separate tier for employee wages. By the time you’re done, there should be a clear picture on what the operating expenses will be, ranked from best case scenario to worst. Although the specifics of your business plan will remain personal, every employee should still have a clear idea of what their objective is. Every worker under you contributes to the larger process of the company’s success and its growing culture. Having one person that isn’t onboard with the company’s vision is all that it takes to detail progress. This is why a lot of successful businesses hammer their vision into the workers, both visually and by repeating it in multiple settings. With the employees on board with the business plan, there are no excuses for being unfamiliar with company goals. 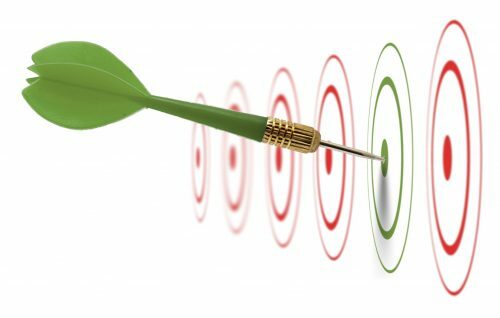 Goals with well-defined targets will keep a business on track, even when things get a little rough. Start by making a one year goal that is achievable under the current circumstances. Keep it simple by making the goal related to business growth, revenue or networking. Companies that have more than one revenue source can get creative with their goals. Break your goal down into smaller targets that help achieve the end result. It can be weekly, monthly or even bi-monthly targets. The bigger picture of it all is to formulate a strategy that leaves a paper trail so that you can gauge effectiveness. Once the goals are out of the way, your current strategy should be broken down. Turning your current strategy into action items means summarizing each part of your plan into its own category. This category will have a title, description and all relevant information attached to it. Action items are important not just for keeping things simple, but also for creating a template that shows you the bigger picture. It is daunting looking at multiple tasks that lead to a giant conclusion, with a lot of the information being out of place. With action items set up correctly, you see the complete picture in the most compact way possible. Just like writing a book, creating an actionable business plan for a company will lead to nowhere without action. All of the strategizing in the world won’t help the person that is too afraid to make the first move. A business plan doesn’t need to be robust, it just needs to fit what is best for your company. Sitting down and strategizing for months without an actual plan to move forward is leaving money on the table. In that timeframe your target market will change, forcing you to reassess the entire situation from scratch. Strive to improve an actionable business plan but don’t become a slave to it. Each day that passes raises the chance that someone could beat you to the punch and capitalize on the same idea. And if you’re still in doubt, the company vision will create enough inspiration to get you ready for hard work. Using a little bit of creativity with hard work is a great recipe to make your idea successful, and it takes only a few steps to get started. 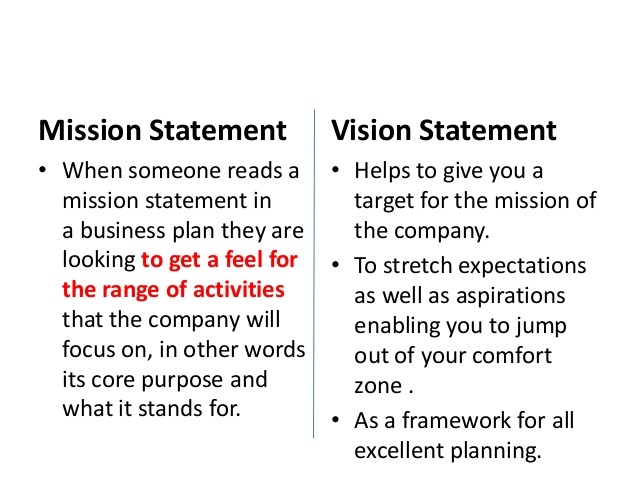 An actionable business plan is an important part of what defines your company, now and in the future.